You have many options for women's 34" inseam jeans and I bring them together for you right here. The stores in the 34 inch inseam denim directory offer a huge selection of fashionable and trendy styles. Just take a look below. I'll tell you if there's an easy way to find tall women's jeans on any of these sites.I will , also, point out if a store has retail locations, although you should be sure to call ahead and make sure that they carry tall jeans in stock and not just online. Enjoy the variety! 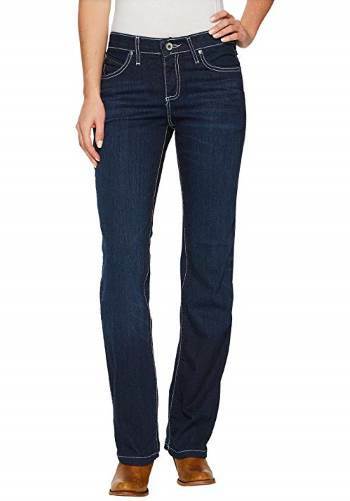 TALL TIP: Long Tall Sally is a great source for 34" inseam jeans. And as an added bonus, get free shipping on orders of $30 or more anytime! Long Tall Sally ($$) Specializes in clothes for tall women offering jeans and pants in 34" inseams to 38" inseams including boot-cut, flare, straight, skinny, and jeggings fashions. Also find a large collection of other tall women's clothing. They have a select few retail locations in the U.S., the U.K., and Canada. Buckle ($$) Large selection of mid-priced and designer jeans and pants in up to 37" inseams. Shop by inseam. You can find long inseams at their retail locations as well. Old Navy ($) Jeans and pants in long (34" inseam) and tall (36" inseam). Shop by inseam. Also has inexpensive tops, tees, tanks, dresses, skirts, shorts, jackets, activewear, and maternity in tall sizes. Extended sizes available. Long length jeans available at retail locations. Zappos ($$) You can use their free shipping and free return policy to easily try out jeans from their 34" inseam collection. 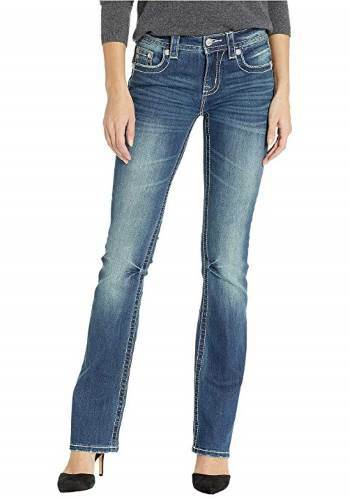 Lucky Brand ($$) Offers a stylish collection of premium women's long and extra-long denim in 34" and 36" inseams. Choose your inseam in the drop-down menu in the Women's Jeans section. 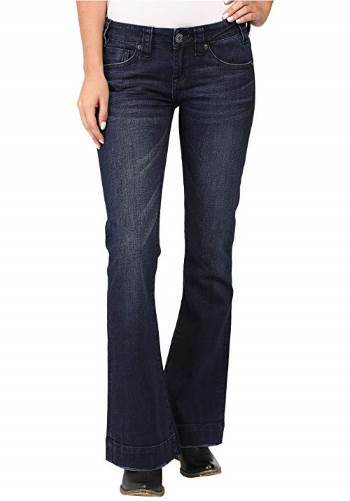 Levi's ($) Offers a trendy style of women's 34" inseam jeans. Choose your size in the Filter By Size drop-down menu. Extended waist sizes available. 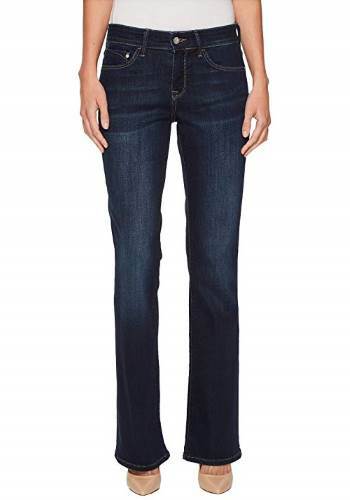 Gap ($$) Trendy long size jeans and pants in up to 37" inseams with select styles in 38" inseams. Also offers a variety of other clothing in tall sizes. Select the Women's Tall option to view all tall clothing. You can purchase long lengths at retail locations. JCPenney ($) Offers jeans and pants in up to 37.5" inseams as well as a nice collection of other styles of tall clothing. Extended sizes are available. Aeropostale ($) Casual apparel line offering 34" inseam jeans and pants. Use "Shop by Size" feature in the Jeans category of the Bottoms section. You can shop online or at retail locations. PZI Jeans ($$) Offers a stylish collection of jeans and pants designed specifically for the curvy woman in 34" (regular), 36" (long), and 38" (extra-long) inseams. Select your length under the Jeans/Bottoms category. Use the size chart to determine correct fit. Metrostyle ($) Fashionable, trendy apparel. Tall jeans and pants in up to 35" inseams. Also offers tops, dresses, suits, jackets, and activewear in tall sizes. Select the Tall option under the Petite & Tall section. Extended sizes are available. Soft Surroundings ($$) Comfortable, casual clothing. Tall size ladies jeans and pants in up to 36" inseams. Also offers tops, dresses, skirts, sleepwear, and robes in tall sizes. For each clothing category, select Tall in the Narrow By Size drop-down menu. Extended sizes are available. Soft Surroundings Outlet ($) Discounted pricing on clothing from Soft Surroundings (see above). Limited sizes available. For each clothing category, select Tall in the Narrow By Size drop-down menu. American Eagle ($) Tall girls jeans and pants in long (34.5" to 35" inseam) and extra-long (36" inseam). Choose your length in the Sizes drop-down menu. They have a few styles in longer lengths at retail locations. Avenue ($) Specializes in plus size clothing to size 32. Find plus size tall jeans and pants in up to 35" inseams. Select Tall Pants or Tall Jeans under the Special Sizes menu. Land's End ($) Jeans and pants in up to 36" inseams. Also offers tall ladies sizes in tops and swimwear. Select Tall option in Size Range drop-down menu in Women's section. Extended sizes are available. Torrid ($$)Tall plus size clothing to size 28. Find plus size tall 34" inseam and 36" inseam jeans and pants. Boot-cut, flared, and plus size skinny jeans styles. See product titles for length in the Denim or Pants sections. Sheplers ($) Women's western wear jeans in 34", 36", and 38" inseams. Select the Long Inseam Jeans option under the Shop by Fit section of Women's Jeans. Boot Barn ($) Offers Wranglers and other brands of western wear denim in 34" and 36" inseams. Chadwick's ($) Tall size ladies jeans and pants in 34" and 35" inseams. Also offers tops, dresses, skirts, businesswear, and jackets in women's tall clothing sizes. Select the Tall category to view all tall clothing. Roaman's ($) Tall plus size clothing to size 44. Find plus size tall jeans and pants in up to 36" inseams. 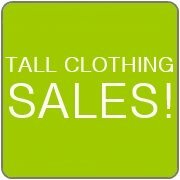 Also sells tall suits and tops in long lengths.